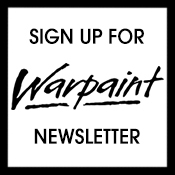 New for 2017 and in collaboration with Paintopia, Warpaintopia brings you Online Alley, a collective of creative YouTube make-up artists and face painters who will be broadcasting their paints live from Professional Beauty London. 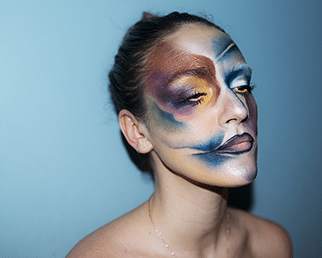 Winner of the 2016 NYX UK Face Awards, Zoe Ellen Butterworth has a first class degree in Fine Art and has been doing make-up now for four years specialising in Beauty and Theatrical Make-up. She’s also Brand Ambassador for NYX Cosmetics UK and had a combined following of 40K. 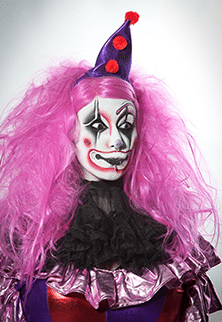 Donna Bull has been doing make-up for four years and face painting for two. She gained much of her 6k online following after winning first place in a Halloween make-up competition; she loves colourful makeup, yet is a self-proclaimed Goth at heart. 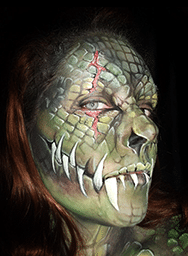 Rachael Delahunty is a qualified make-up artist, face and body painter who can turn her hand to anything creative. Her CV includes music videos and print work for clients including Google, Tommy Hilfiger and Red Bull, and she can regularly be found painting and decorating party-goers at Heaven and Ministry of Sound. She works alongside brands such as Mistair, Mehron and Stargazer and has a strong online following with over 13k Instagram followers. 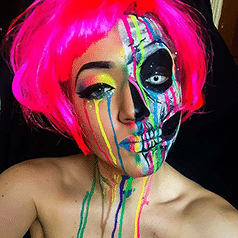 In the 18 months that she’s been painting, Yorkshire-based Creative artist, Jodie Broadley, has body painted at Paintopia and Comicon, and been published internationally in the Skinmarkz magazine. 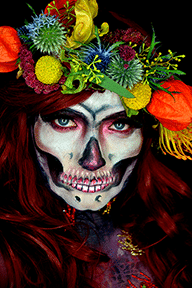 During her first year of make-up, she won the national Illamasqua student competition Master of Colour with her neon melt skull look. Her social media is growing with over 2k followers on Instagram and Facebook. She is best known for body paint and eccentric use of colour and is currently involved in a project using art to raise awareness for mental health issues. 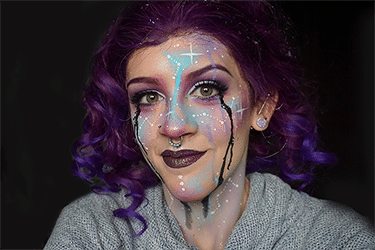 Heather Moorhouse has been creating colourful makeup art for Instagram, Youtube and Facebook since her time in university studying Art History. She has a passion for art, colour, texture and making things from scratch, often using unusual materials from paper to sweet wrappers in her work. Heather has worked on KickThePj’s Hair and Brimstone and Oscar’s Hotel, collaborated with brands on social media and has a combined following of over 160k. 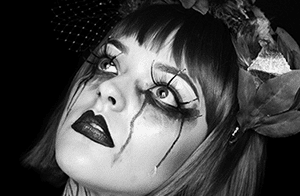 Joanna is a professional makeup artist, hair stylist, SFX artist, headdress designer, alternative model, artist, video editor and creative director. With two diplomas and a first class Honours degree in hair and make-up as well as five years’ experience in all genres and sections of the industry from photoshoots, short films, music videos, events and more. With a 50K following via her social media presence across Facebook, Twitter, Instagram, YouTube and more, she is an active part of the online makeup artist world. 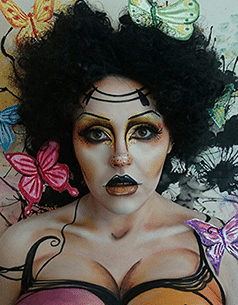 Joanna was part of the Final 5 in 2016’s NYX Professional Makeup UK & Ireland Face Awards, as well as previously placing 1st and 3rd in makeup and body painting competitions at Olympia Beauty. Joanna is an all-round creative individual that enjoys combining her talents and channelling them into every piece of work she creates. Originally with an Art and Design background, Stefanija Vektere studied Fashion Design and Styling and Promotion in London where she developed high interest and passion for make-up artistry and used her inspiration from Art and Design to merge it with make-up art. She later went on to train with David Horne at House of Glamdolls. She has participated in two make-up artistry competitions, one of them being the prestigious Illamasqua Distinctive Makeup Artistry Awards in 2013 and in 2014 winning Art of Makeup Competition in Olympia Beauty in Professional Category. 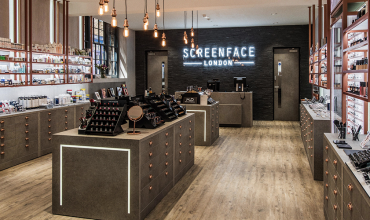 In 2014 Stefanija started to create and customise face accessories and 3D Eyebrows as well as avante garde nail art, bespoke masquerade masks and headpieces. Jasmine Terri gained an interest in art during her final years at school when she began to struggle with anxiety and found it to be a coping mechanism. 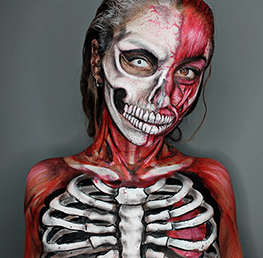 After leaving school she studied ‘A’ level art and photography which led her to discover – and become obsessed with – creative make-up, which lead to the creation of her own looks and experiments with all kinds of make-up and bodypaint. At the beginning of 2016, she saw a post on Instagram recruiting members for a group known as Online Alley – and has never looked back. 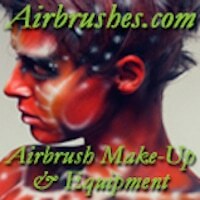 Claire Bryant is a qualified make-up artist and bodypainter living and working in Birmingham. Recently, she has been working on building her portfolio and creating a following on social media, she currently has just over 40k followers on Instagram and her YouTube channel is in the pipeline. 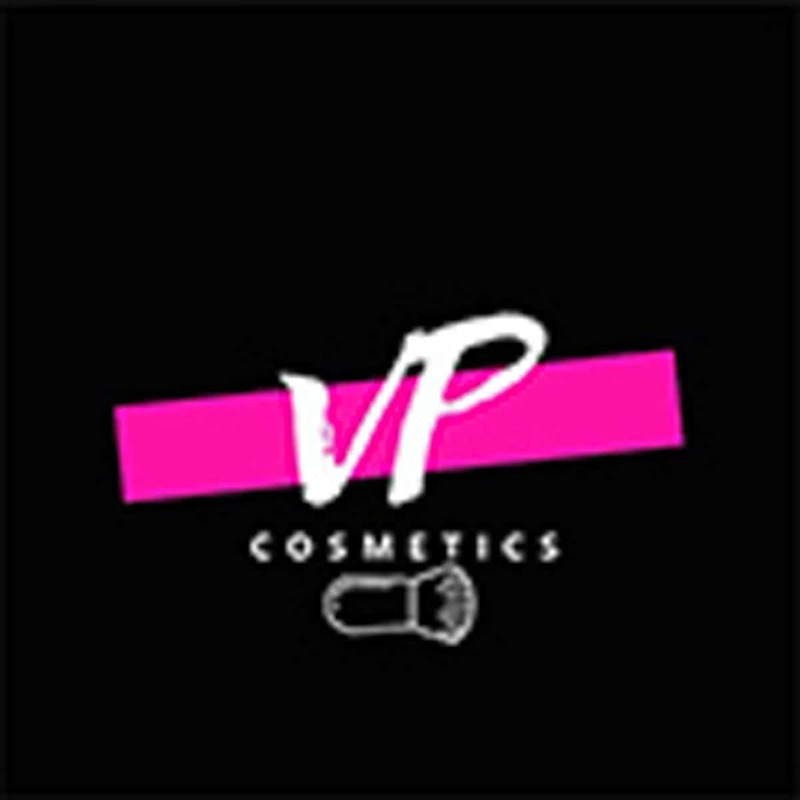 Claire has always been interested in make-up as an art form and her work has been published several times across different media platforms including two publications in Skinmarkz Magazine, Daily Mail, The Mirror and The Sun Ireland. Always interested in pushing herself, she has recently progressed from creative facepainting into full body painting and showcased her work live at Comicon at the NEC Birmingham last November. 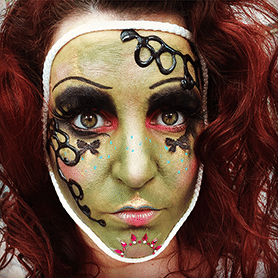 Four years ago Natalie Kirk’s love of fancy-dress lead her to experiment by creating looks and characters on herself and she fell in love with the art. She has used Instagram as a platform for her artwork and has recently body painted at MCM Manchester and Birmingham Comic Con. Manon Tissier became interested in make-up at the age of 13 through watching YouTube videos. After five years training in Media make-up, hairdressing and special effects in Retford, Doncaster and York, she became Head Make-up Artist for Lincoln University in 2013. Her social media on Instagram and Facebook have over 2k following combined and her recently created YouTube channel features full length time lapses, tutorials and make-up related videos. 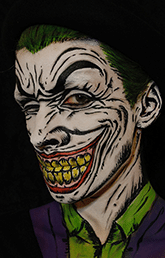 Manon is known mainly for special effects make-up, and face and body painting. She loves collaborating with other artists, creating videos and make-up looks, working freelance and working on short films and feature films. 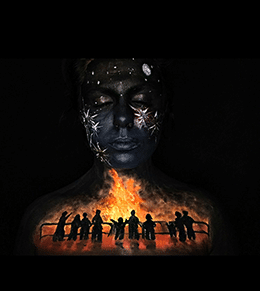 Janine McCallum, who hails from Glasgow, has been freelancing for three years, specialising in bodypainting and creative make-up. 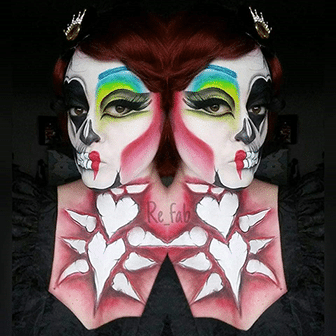 Her fine art background and passion for makeup has helped her while recovering from several Trans Ischaemic Attacks (mini strokes) which left her partially sighted. This has not stopped her living her dream and it’s pushed her further into make-up as a career. With a following of over 16k on Instagram and recognition from Pat McGrath, Val Garland, Alex Box and the BBC, she is now a Mehron make-up UK promotional ambassador, has demonstrated her skills for students at her local college, worked on theatre productions, music videos and been published in The Herald, The Daily Record Scotland and Daily Mail. Proving a point that at even with a sight disability, she will always move forward, improve and try to inspire others to follow their dream. 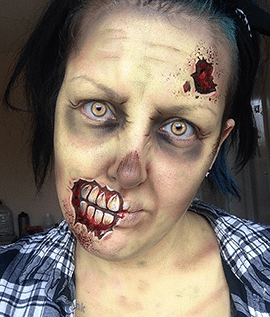 Zoe is a 19 year old trainee Makeup Artist living in the East of England and been an artist from the day she could hold a pencil, but didn’t discover her love of body art and makeup until 2015. She put herself forward for the Paintopia Online Alley 2016 and was overjoyed to have been accepted! She says, “It has brought me so many amazing opportunities ever since then. 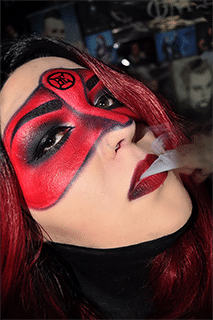 I’ve since started my own YouTube channel doing creative makeup tutorials, product reviews and vlogs.” Zoe’s work can be found on Instagram (1200 followers), and she also uses Facebook, YouTube, and Twitter, and can be found on all platforms as Aperture Beauty. In the future she hopes to either be a full time body painter or a Makeup Artist for editorial and runway shoots. 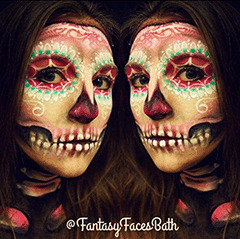 Hannah Southfield set up her face and body painting company, Fantasy Faces, two and a half years ago and in her short career has worked for exclusive private events, stage shows, large corporations, professional footballers, world-renowned festivals and has built up a large portfolio of work. She has been featured in Photoshoot magazine in 2016, Bath Life and Vow magazine. 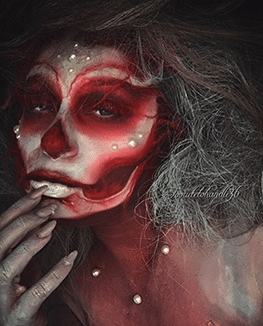 Her work has been championed by make-up stars such as Wayne Goss who described it as “intricate face and body art that looks stunning” and she has a growing Instagram, Facebook and Twitter following. 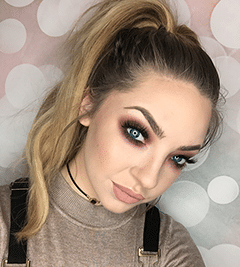 Make-up artist and YouTuber, Zara Lipstixx, has eight years of experience and is becoming a rising star in the world of gothic-genre make-up with her social media following of over 14K. 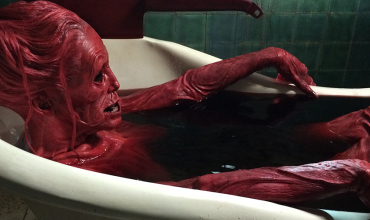 She has taken part in a wide range of projects, most recently creating the make-up for Marc Massive of Massive Ego, a rising goth-pop band, and for Chris Pohl of Blutengel, a popular darkwave/goth-pop band in Berlin. Zara recently made top five in a make-up competition judged by Oscar winner, Joel Harlow. Lindsey Belger started her Instagram page back in May 2014 to share photos with family and friends, but she quickly discovered what a supportive community it holds and has now amassed over 14K followers. Lindsey says, “Instagram has given me a platform to not only share my work, but also help too raise funds and awareness for Childhood Cancer in the form of an online make-up competition called Go Gold. Held with my wonderful co-hosts Claire Bryant and Zoe Butterworth, the comp has been a great success.” Zoe is studying to become a professional make-up artist at Southport College. 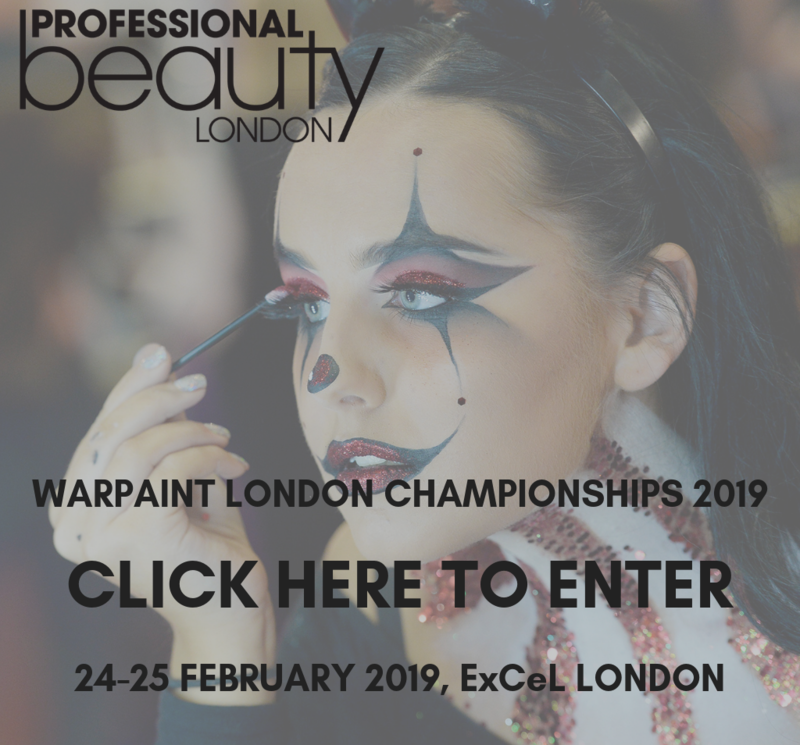 Jo Peters is a pro make- artist with over 20 years’ experience in the industry, loving all aspects of fashion, theatrical and beauty make-up and specialises in body painting – specifically painting pregnant bellies. 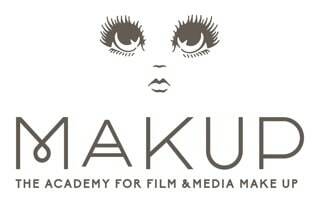 She teaches media make-up at City of Bristol College and tutors for Bristol Beauty School. 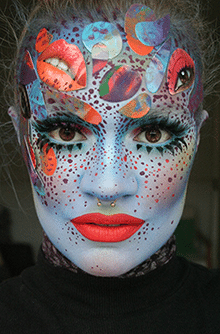 Jo can often be seen vlogging and filming tutorials for Paintopia and Illusion Magazine on YouTube, as well as on her own popular channel Joannadelilah. Jo is the lead artist and organiser of Online Alley and likes to think of herself as Mother Hen of the Alley crew.